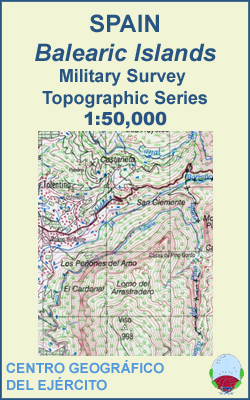 Topographic mapping of the Balearic Islands at 1:50,000 from the Centro Geográfico del Ejército, Spain’s military survey organization. 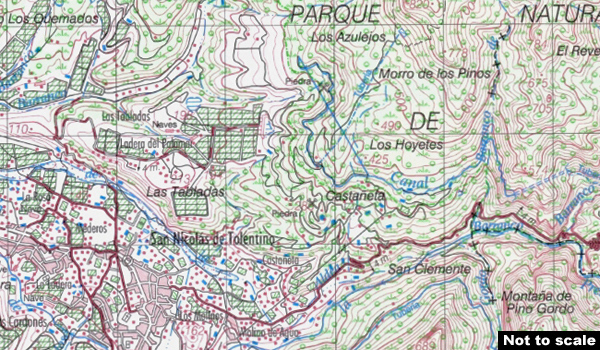 Relief is shown by contours at 20-metre intervals with spot heights and colouring for different types of vegetation. The maps carry all the usual information shown on a topographic survey at this scale: detailed presentation of the road and rail networks, rural tracks and paths, etc. There is no overprint for waymarked walking routes or any other information specifically for hikers. The maps have a 1-km UTM grid, plus margin ticks for latitude and longitude. Map legend is in Spanish.